Headwinds from the gloomy global economic and financial fronts, particularly in the United States and the eurozone, will pose challenges to the performance of the local real estate investment trusts (M-REITs) this year. According to Malaysian REIT Managers Association chairman Stewart Labrooy, the M-REIT sector will face slower growth and competition for tenants as an oversupply situation emerges in the office market leading to lower rental yields. “It is going to be a volatile year ahead with the eurozone uncertainty coupled with low growth in the European and US markets. These markets are very important to growth in Asia and the impact would be felt in all export-led countries. Capital market activity will remain muted worldwide in 2012,” Labrooy told StarBiz. 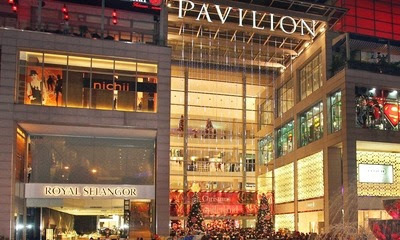 In Kuala Lumpur, property prices are expected to remain flat for 2012 with some weaknesses in the high-end residential and office markets. In the office sector, the seven million sq ft of new office space scheduled for completion this year would result in softening in rental and occupancy. Despite the gloomy outlook, Labrooy said the Malaysian capital markets were expected to remain healthy this year with a significant number of deals notably the listing of Felda's assets in the first half of 2012. “We are fully aware of the issues involved as some of the M-REITs have been through the 2008 global financial crisis and are taking a pro-active stand to retain their tenants through this period and manage their gearing leverage conservatively. “Most M-REITs have strong tenant covenants and long leases to counter cyclical financial events. They also practise very conservative valuations so we don't see any downward pressure on them in 2012 and beyond. In addition, the average gearing of most M-REITs are in the range of 20% to 40%, precluding any event of a default on their loan covenants,” he said. Labrooy said a silver lining from the uncertainty and volatility of the global markets was that investors and fund managers had started shifting to dividend stocks with strong asset backing and renewed their interest in M-REITs as defensive stocks in uncertain times. “I believe that we will continue to see a strong subscription in the M-REIT sector this year bearing in mind that the sector performed fairly well to outperform the KLCI in 2011,” he added. He said the local market still faced liquidity problem as the size of M-REITs was still small by international standards with only five having market capitalisation of over RM1bil. This has contributed to the weak participation among retail investors. Although the combined market capitalisation of M-REITs has climbed to over RM15bil, its market capitalisation is still way behind that of Singapore which has US$27bil in market capitalisation. Labrooy, who is also the chief executive officer of Axis REIT Managers Bhd, said the recent listing of Sunway, CapitaMalls Malaysia Trust and Pavilion REITs had improved the liquidity of the domestic market. Labrooy also said there was an absence of listing of foreign assets as REITs on the local bourse, adding that those who wanted to go for listing had opted to do so in Singapore due to its much higher liquidity and better tax structure. The local regulatory and tax framework must be improved to be on par with Singapore, and a comparable tax code would assist in getting greater retail participation. On whether there was a scope for other types of REITs to come into the market, Labrooy said: “Malaysia probably has one of the most diversified REIT offerings in Asia. We are currently offering hospitals, plantations, office, retail, education, hospitality, industrial and diversified REITs. “In addition three are syariah-compliant to cater to the Islamic investors. Al-Hadharah Boustead REIT chairman Tan Sri Lodin Wok Kamaruddin concurred that the prospects for the REIT market has not been fully tapped in terms of awareness among potential investors. He said M-REITs were viewed as a safer investment compared with other REITs in the region. This was due to the domestic-centric focus of their property investments, lower refinancing risks and relatively lower foreign shareholding. “Malaysia is in a strong position for greater growth and has the potential to lead the REITs market in Asia given its good track record and stable market conditions in Malaysia. “Generally, potential investors are not well informed about REITs. We believe the level of awareness can be increased nationwide as knowledge plays an important role,” he said.